Lavonne Irene Sanchez passed away on March 7th, 2017 after a long battle with cancer at the age of 66 at her home in Carpinteria. She was born Dec. 3rd, 1950 in San Luis Obispo, CA. She was the second born daughter of Leo and Irene Rogers. She graduated from San Luis Obispo Senior High in 1969 and earned a Bachelor’s Degree in political science from Cal Poly San Luis Obispo in 1977. 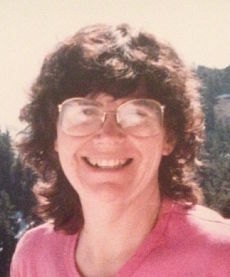 She worked for the Equal Opportunity Commission in San Luis Obispo from 1978-1991 where she received the “Employee of the Year” award in 1983.She worked at with the state disability office in Santa Barbara for more than 20 years and retired in June of 2014 to pursue her many other interests. She had a love for theatre and the arts and spent many years as the house manager for the Arlington theatre and the Garvin performing arts center at Santa Barbara City College. She and the love of her life, Ted Cheeseman shared a passion for old trains and they travelled together across the United States and internationally to ride as many old steam trains as possible. She also worked as a docent on the Coast Starlight train that travelled between Santa Barbara and San Luis Obispo. Her greatest joy in life was to spend time with her four grand children. She enjoyed attending birthday parties and reading to her 5 year old grandson Dallas. She also travelled internationally to visit her grandchildren Josiah, Malia, and Kalea who currently live in Dar es Salaam, Tanzania. Her many visits to see them included trips to Cameroon, Tanzania, South Africa, and most of Europe. She is survived by her two sisters Linda (Larry) Brown of Clayton, CA and Nadine of Gig Harbor, Washington; her two sons, Michael (Brie) of Rhonert Park, CA and Frank (Heidi) of Dar es Salaam, Tanzania. She was preceeded in death by her brother Alan Rogers of Albuqueque, New Mexico. Memorial services will be held on July 16th at the Arlington theatre from 1:00p.m. – 3:00p.m. In lieu of flowers please make donations to Visiting Nurses and Hospice Care of Santa Barbara.